"Ink art is a part of Chinese culture, part of our living, part of our DNA"
Hi Calvin! What inspired you to start Ink Asia? First of all, I love ink. I wanted to bring my passion for ink and share it with the art market. At the same time, there’s huge business potential for an art fair specialising in contemporary ink. The last five to eight years have seen a lot of similar contemporary art fairs developing in different Asian cities, including Hong Kong. But to me, the market has become a bit saturated. So what else can we do? Rather than just follow the trend, I wanted to create something new. I wanted to create a platform to present our artistic legacy and to build a cultural understanding about the industry and the practitioners, as well as the artists in this region. I wanted to create an art fair that belongs to Asia. That belongs to us. What makes ink art important? I believe ink is the most significant component in East Asian culture and artistic language. Ink has been with us for so many centuries. Ink is a part of Chinese culture, part of our living, part of our DNA. I’m not just talking art. The medium can be found in architecture, lifestyle, norms and beliefs. It’s also part of the legacy of our Asian philosophies and ideologies like Taoism and Zen Buddhism. It plays a significant role in our cultural heritage and, what’s more, there are millions of ink artists in this region. When you say ink art, what exactly does that mean? Within the context of Ink Asia, we specialise in contemporary ink art from the 20th and 21st century. Most of the works on display are done by living artists or master artists of the 20th century. Ink can be more than just a medium for artists to work with. It’s also about the spirituality and how artists deliver a piece of work that reflects the workings of their inner mind. I want this art fair to show how artists are presenting their ink work with a contemporary vision. How this traditional art form can be continuously rejuvenated and revitalised. I made this platform to explore the future possibilities of this traditional art form. How are the artworks presented at the fair? You will definitely see wall art and installations. Most people tend to have this perception that ink art is rather dull and old fashioned, painted on scrolls that are mostly black and white. But at this fair, visitors will get to see different mediums of ink art, including mixed media, photography, sculptures and even video. We’re showcasing new dimensions of ink and letting visitors have a brand new experience and appreciation of ink art. I want to show how ink art can be exciting. There is a ‘highlight’ and a ‘spotlight’ section in the fair. How are artists and galleries chosen for these sections? For the highlight section I selected 12 galleries that have been putting a lot of effort into promoting ink art or presenting ink artists over the years. When guests visit these 12 highlighted galleries, they may observe the market trend and significant ink artists from the past few years. For spotlight, six galleries have been invited to hold a solo exhibition for an artist of their choice. I hope that this art fair is more than just booths and displaying paintings. We are a large stage for ink artists to interact and compete, but also to learn and exchange. Having a booth for a solo artist to present their ink and collections is also a very good opportunity for collectors to understand individual artists and to discover future talents. These sections are part of my mission to create an open platform. You can see artists and be surprised by their talent and their high-quality works. This is the second edition of Ink Asia. Is anything different from the first? This year we’re going to introduce three new creative exhibitions and special projects to let the experts, like curators and gallerists, present their concepts and ideas. First, we have the Taiwanese Pavilion, where visitors can learn and appreciate the development of ink art in Taiwan after the 1950s and the influence of Liu Guosong, the father of modern ink art in Taiwan. The Chinese Pavilion showcases contemporary calligraphy, introducing the public to contemporary interpretations of traditional calligraphy. There, we have master artists like Wang Dongling presenting his work. Finally, there’s Ink+, which engages local artists to explore new ideas and methods in creating new ink artwork and to break boundaries. In that show you can see videos, ceramics, photography, conceptual works and mixed media installations. Again, it’s to break the old perception of ink art, showing that ink art can be three-dimensional, huge and very figurative and conceptual. What would you say are the main characteristics that differentiate Taiwanese, mainland Chinese and Hong Kong ink art from one another? Taiwanese ink artists tend to follow traditional aesthetic principles. Their art is very subtle and beautiful in terms of skill, brushwork and subject matter. And there’re a lot of landscape paintings. 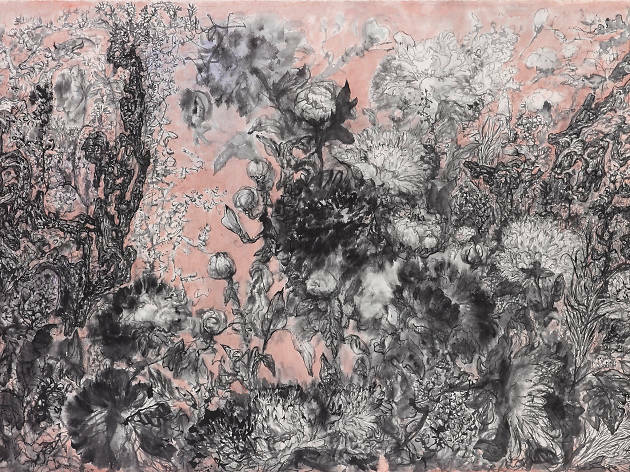 Mainland contemporary ink can be wilder, more conceptual and more abstract. Visually, it’s very stimulating and can be more expansive in terms of size. Hong Kong artists tend to explore new elements and ideas. Subject matter is usually confined to their own understanding and experiences within city living, which provides Hong Kong ink art with a unique identity. They all share similar cultural backgrounds but have different interpretations. These artists have had separate living experiences. Even the language is slightly different. But that’s the amazing thing. It allows more possibilities to develop in the future of ink art. All these artists are very eager to create a project in Hong Kong that showcases their vision and power. Ink Asia is an art fair but it’s also a stage for artists and galleries from different places to stretch their muscles. It’s healthy to have such competition. Can people who are not collectors or buyers enjoy the fair as well? Certainly! This is the ideal platform to learn more deeply about this Chinese art form. 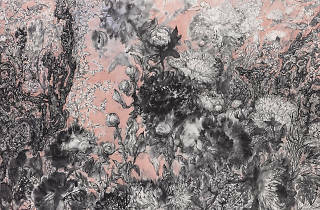 You can also see what contemporary Chinese ink artists are doing in the market. It’s the perfect destination for art enthusiasts to learn about market trends. Even if you’re not a collector or buyer, you can find something you’ll like. Our price range is diverse. It’s not just high-end professional collectors’ choices. There’s a lot of new emerging artists too, offering affordable yet high-quality pieces. And there’s more than just drawings on paper. You can see artworks that infuse design elements, as well as functional pieces like furniture. If you really want to develop an understanding of the history and development of Chinese ink, here it is!